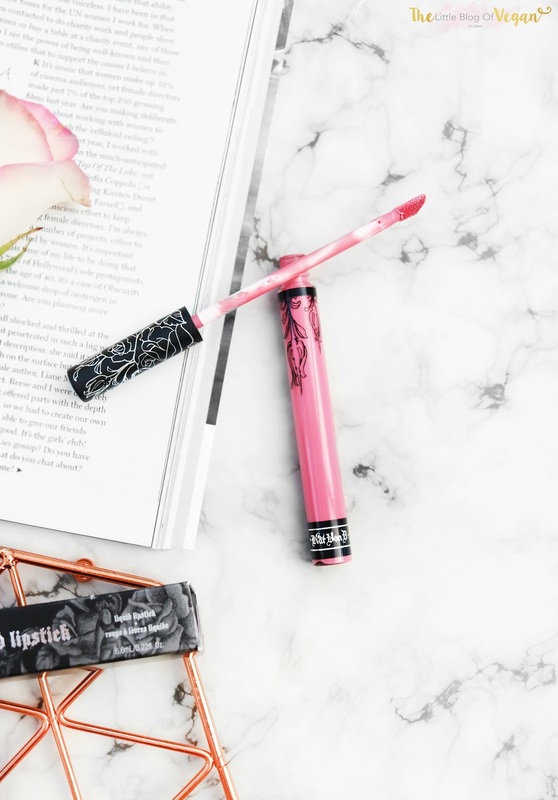 Why you should buy the Kat Von D Everlasting Liquid Lipstick! I am the biggest fan of Kat Von D's beauty line and was so excited to receive my first ever KVD lipstick for my birthday. All Kat Von D Beauty products are 100% vegan and not tested on animals (Cruelty-free). Check out my last blog post reviewing my favourite foundation EVER 'Lock It Power Foundation' here. I was recently in the Debenhams on Oxford Street and swatched all of the KVD lipsticks at the Kat Von D Beauty counter and fell in love with all of the shades, especially Melancholia. Melancholia is a stunning dusky baby pink with cool undertones. I am obsessed with the smooth & creamy consistency. First time applying this I was really impressed, there was no streaking and it dries really fast. It applies creamy but dries matte which I love. 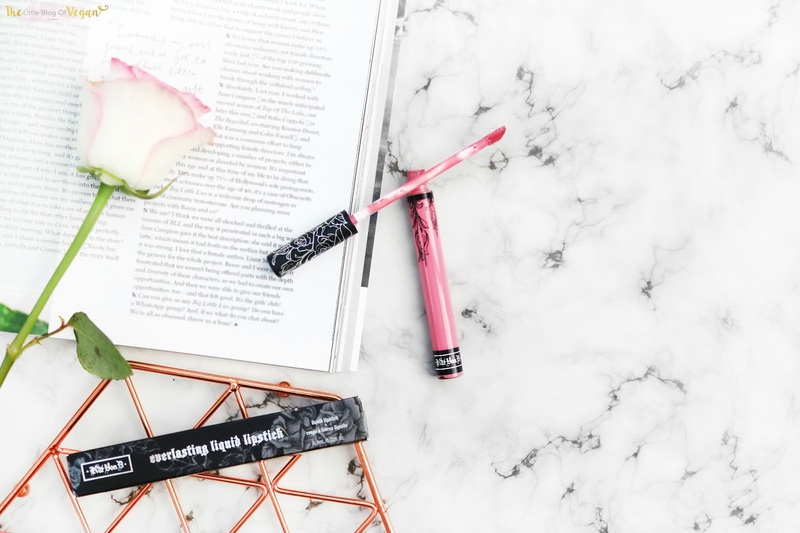 It contains natural moisturisers including Vitamin E and Sunflower Seed oil which makes your lips feel sooo nice and healthy! It's a beautiful, wearable colour which isn't too bright pink which I really like! The Everlasting Liquid Lipstick shades are endless! I hope to pick up a few more colours soon, one including Noble (Left hand side of the 4th line). This has quickly become my favourite lipstick, and I would highly recommend it to you guys!!! The prices of KVD products are very reasonable for a high-quality product! This post isnt sponsored or gifted and all opinions are 100% my own. Some links may be affiliate links. This liquid lipstick is really awesome. Thanks to share this beautiful liquid lipstick product. I believe makeup is an important part of women's life and a perfect lipstick gives a great look of hole makeup. I can't imagine a single day without my makeups. I love to use my favorite Liquid Matte Lipstick for my lip. I have seen very good review about this lipsticks, very pigmented. Thought, I don't have any. I recently did Spring make-up lessons so I need to practice a lot to improve my skill. I am thinking to purchase some shades, can you please suggest me some must haves for NC35? Last year at my brother's wedding, we did our makeover from Lina Cameron. She was so good and so talented that I fall in love with her work, she also trains make up lesson by makeup artist. Especially, she can make regular faces gorgeous. Everyone appreciated me a lot on that day. She used mac foundation that day. This is so good! I bought this and few items of this brand later and I really love them a lot. I always love mac, they are bomb!